During this 780-day reporting period, a total of 233 different nicks were represented on #Development. 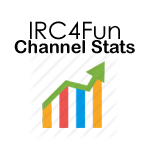 1 travis-ci 906 274 days ago "IRC4Fun/Xtheme#1 (master - d37edb9 : Austin Ellis): The build ..."
2 Not-e554 682 540 days ago "[IRC4Fun/Xtheme] siniStar7boy 7d7e938 - update contrib"
3 Not-d119 492 350 days ago "[Sigyn] siniStar7boy assigned issue #1: Sigyn is not communica..."
4 Not-5e56 286 491 days ago "[atheme/atheme] aaronmdjones deleted branch module-fixups"
5 Not-54a5 263 418 days ago "[atheme/atheme] aaronmdjones 2511269 - Nuke 'E' from orbit"
6 Not-4b96 174 653 days ago "[Xtheme] Pending. GitHub Pages is building your site. - None"
7 Not-d6ed 164 631 days ago "[Xtheme] Pending. GitHub Pages is building your site. - None"
8 Not-4afb 154 746 days ago "[atheme] DemiMarie commented on issue #442: Please migrate to ..."
9 Not-9edd 138 601 days ago "[XthemeOrg/Xtheme] ... and 2 more commits." 10 Not-74c8 126 473 days ago "[atheme] AlexxNica forked the repository - https://git.io/vbhNF"
11 Not-c10f 121 587 days ago "[Xtheme] Pending. GitHub Pages is building your site. - None"
12 Not-6c52 119 510 days ago "[atheme/atheme] ... and 9 more commits." 13 synapse 114 124 days ago "!badwords add bryanostergaard.com"
14 Not-9ef6 88 719 days ago "[XthemeOrg/SWI] ... and 5 more commits." 15 Not-a146 85 526 days ago "[IRC4Fun/Xtheme] xnite dff0134 - curl example"
16 Not-b32a 52 463 days ago "[atheme] xnrand commented on issue #605: "CLEAR FLAGS" does no..."
17 Not-306b 50 741 days ago "[atheme] mniip synchronize pull request #538: Refactor how sou..."
18 Not-cbd9 32 619 days ago "[IRC4Fun/PyLink] ... and 263 more commits." 19 Not-ad77 26 274 days ago "[atheme/atheme-contrib-modules] ... and 43 more commits." 20 Not-62cf 22 714 days ago "[Xtheme] siniStar7boy labeled issue #1: Test Issue - Disregard..."
21 v8 19 150 days ago "synapse - 'ban-type' has been SET"
22 D3LL 19 558 days ago "siniStar: Admin, Aka, AutoMode, Channel, ChannelLogger, Channe..."
23 Not-e63 17 345 days ago "[IRC4Fun/PyLink] siniStar7boy pushed 15 commits to master [+0/..."
24 Not-b191 16 116 days ago "[XthemeOrg/Xtheme] siniStar7boy 1a7c190 - 8.0.3"
25 Not-4f6c 15 4 days ago "[SWI] acsid forked the repository - https://git.io/fhFSj"
By the way, there were 178 other nicks. Is Not-d119 stupid or just asking too many questions? 38.0% lines contained a question! Not-6c52 didn't know that much either. 35.3% of his/her lines were questions. The loudest one was synapse, who yelled 51.8% of the time! Another old yeller was Not-b32a, who shouted 7.7% of the time! Not-e554 isn't a sad person either, smiling 0.1% of the time. Not-9ef6 is also a sad person, crying 2.3% of the time. Not-c10f wrote the longest lines, averaging 149.5 letters per line. #Development average was 114.5 letters per line. synapse wrote the shortest lines, averaging 22.1 characters per line. travis-ci was tight-lipped, too, averaging 75.5 characters. Not-e554 spoke a total of 10919 words! Not-e554's faithful follower, Not-d119, didn't speak so much: 6501 words. kektrain wrote an average of 78.00 words per line. Channel average was 13.11 words per line. UIN wasn't very popular, getting kicked 250 times! D3LL seemed to be hated too: 4 kicks were received. W is either insane or just a fair op, kicking a total of 147 people! W's faithful follower, v8, kicked about 130 people. OperServ was also very polite: 16 ops from him/her. Sigyn is the channel sheriff with 14 deops. synapse always lets us know what he/she's doing: 1 actions! Not-d119 talks to him/herself a lot. He/She wrote over 5 lines in a row 26 times! Another lonely one was Not-e554, who managed to hit 26 times. UIN couldn't decide whether to stay or go. 304 joins during this reporting period! Nobody is foul-mouthed in #Development! Get out much? The topic was set 42 times. Total number of lines: 26701.